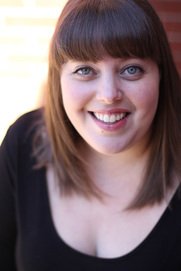 Gillian is a Toronto-based theatre practitioner and academic with a deep love for classical theatre. She has recently completed her MA in Drama, Theatre, and Performance Studies at the University of Toronto where her research project and essay focused on gender-bent Shakespearean performance. As part of the project, she organized a workshop for female-identifying actors performing male Shakespearean monologues. She also runs a blog examining various Shakespeare productions called www.shakespearestudying.wordpress.com. Gillian is also an aspiring director. Her selected credits include: Director on The Doorknocker (Drama Studio Series), AD on Much Ado About Nothing (Hart House Theatre), and AD on The Seer and No Bombs on Monday (Commonplace Theatre). Upcoming: AD on This Will Be Our Last Transmission at Alumnae Theatre as part of their FireWorks Festival. A graduate of the UTM/Sheridan, Theatre and Drama Studies program, Nate is a busy member of the Toronto theatre scene. Nate is an actor, stunt performer, certified fight director, and stage combat instructor. He has also been the resident fight director for Hart House Theatre for the past five seasons and is returning this year. Look for Nate teaming up with the incredible James Wallis for Hart House’s production of Tidus Andronicus! For Shakespeare BASH’d: Antonio/Fight Director in Twelfth Night, Fight Director for The Comedy of Errors, Fight Director for Hamlet, Fight Director for King John, Mortimer in Edward II (staged reading), Lennox in Macbeth. Follow Nate on twitter and instagram @frostbitton and check out his website at www.natebitton.com. Jeff is mostly at ease to be working alongside the adequate folks of Shakespeare BASH’d once again. He previously played Slender in their decent production of The Merry Wives of Windsor and Alonzo de Piracquo in last year’s very long but still pretty good reading of The Changeling. Other theatre credits include Antony and Cleopatra, The Three Musketeers (St. Lawrence Shakespeare); Much Ado About Nothing (Secret Shakespeare); The Last Stand (Theatre Brouhaha/Honest Ed’s Closing); Skylight (Troubadour Theatre); and Mourning Dove (Sudbury Theatre Centre). Up next he will appear in Wake Up and Smell the Coffee for LowDown Theatre. Jeff would like to take this moment to acknowledge Tom McGee as the heir to his fortune, which is little more than some unpaid loans and a VHS box set of The Indiana Jones trilogy. Dylan is a Toronto based, Calgary raised actor and a graduate of Ryerson’s BFA Acting program. This is his first time working with Shakespeare BASH'd, and he could not be more excited. ​Select credits include A Streetcar Named Desire (Plain Stage); The Importance of Being Ernest, Comedy of Errors, The Taming of the Shrew (Confidential Projects); Much Ado About Nothing, Hamlet (Hart House Theatre); Picasso at the Lapin Agile (Seven Siblings Theatre). Dylan will also be dancing this winter with the Dora award nominated company Rock Bottom Movement. Franny is pleased to be making her Shakespeare BASH'd debut as the vain, ambitious, endlessly chatty Lady Would-be. Franny would be last seen in SMASHES, her one woman comedy exploring bisexuality through history, winner of the Performer's Choice Award (Fundy Fringe Festival) and recently produced at Second City in Toronto. Tom McGee is a playwright, dramaturge, puppeteer, performer, director, and producer based in Toronto. As a dramaturge Tom has worked on all of Dora Award-winning playwright Kat Sandler's scripts, co-founding Theatre Brouhaha with her in 2011. He is also the co-creator and writer of Shakey-Shake and Friends puppet theatre company, which introduces kids to the stories and characters of Shakespeare in a fun, accessible way that mixes classical text and modern pop culture references. Tom is also the Dungeon Master and show runner of Dumb-Dumbs and Dragons a comedy podcast where improvisers and comedians play Dungeons and Dragons for the first time (available on iTunes and at GarbageProductions.net). He can also be found writing and reviewing games and movies on MyEntertainmentWorld.ca. Julia is an actor, director, and producer, as well as a Co-Founder and Co-Artistic Director of Shakespeare BASH'd, where she has produced all of the company's sold-out productions. She has worked as the Managing Director of Theatre Columbus (now Common Boots) and is now part of the team at The Theatre Centre. Most recently, she performed in Twelfth Night and directed the sold-out Fringe hit The Comedy of Errors for Shakespeare BASH'd. As an actor, Julia has performed the title roles in Daniel MacIvor’s See Bob Run (Theatre Caravel) and 2012 Best of Fringe winner The Taming of the Shrew and its 2015 remount (Shakespeare BASH’d). She also appeared in many critically acclaimed Shakespeare BASH'd productions, including The Merry Wives of Windsor, Macbeth, Romeo & Juliet, and Hamlet, and recently in Red One's The Forest at The Storefront Theatre. She is a member of the Advisory Board for the Canadian Stage GYM program and a graduate of the joint acting program at UofT and Sheridan College. Upcoming, Julia will be performing in Dublin Carol (Fly on the Wall) and directing Richard III (BASH'd). Cara is a Toronto based actor/singer and teacher. Originally from our nation's capital, Cara has always had a passion for the arts and loves connecting through story telling. Some credits include: The Trial Of Judith K, Measure for Measure, The Memo ( Thought For Food Theatre), God of Carnage, Songs For A New World (STF), The 25th Annual Putnam County Spelling Bee ( STC and KooGle Theatre), In Flanders Fields (Smile Theatre). Up next: Alice in Winterland for Ottawa Musicals annual Panto. When not on stage you can find Cara mowing down on Pizza, enjoying Craft Beer, or being a crazy dog mom to Gertrude and Gigi. Megan Poole is a Toronto based actor and singer. Some favourite credits include Bianca in Taming of the Shrew (Humber River Shakespeare Company); Juliet in Romeo and Juliet (Shakespeare in the Square); City Angel Four in City of Angels (Theatre By The Bay); Mrs. Cratchit in Scrooge: A Musical! (Rose Theatre Productions) and several seasons at the Stirling Festival Theatre. Up next, she'll be returning to the Stirling Festival Theatre in their production of Little Red Riding Hood. Big thanks to James and Julia and the wonderful Shakespeare BASH'd team for inviting me to play with them. Natasha Ramondino is a Toronto-based actor hailing from the Theatre and Drama Studies program at Sheridan College and the University of Toronto Mississauga. Recent theatre credits include: Romeo and Juliet (Bard in the Park), Get Yourself Home Skyler James (Binocular Theatre), Lion in the Streets (Theatre By Committee), Shakespeare in Hospitals (Spur-of-the-Moment Shakespeare Collective), Math Jam, JiggiJump (Education Arts Canada), Andy Warhol Presents: Valerie (Fail Better Theatre), and Rumpelstiltskin(Solar Stage Theatre). Upcoming: Coriolanus (Skipping Stones Theatre). ​She is thrilled to be working with Shakespeare BASH'd. Born and raised in Toronto, Kira is a actor, writer and singer and has recently returned to Toronto after 3 years living and training in Victoria, BC. A graduate of the Canadian College of Performing Arts and the University of Toronto, Kira is very excited to be working with Shakespeare BASH'd and can't wait to delve into the world of Volpone. Recent credits include: Nourishment (ECM Theatre), This Little Light (Belfry Theatre), Ruddigore (Company C), and Our Town (Company C). Previously with Shakespeare BASH'd: Ford in The Merry Wives of Windsor at the Toronto Fringe. co-ordinates and recruits emerging artists for the Guerrilla Ruff Squad, and leads the closed-doors reading series, Beyond the 36, among many other things. He is super excited to be reading in this obscure gem along side so many friends, old and new. After graduating from Ryerson Theatre School, James jumped right into the big bad world of commercial work and film & television acting. He has been seen in a number of national commercials, including spots for Boston Pizza, Honda, and Expedia. Also, he has appeared on The Jon Dore Show, XIII: The Series and in a number of feature films including: And Now A Word From Our Sponsors and The Movie Out Here. James just completed his second season at the Stratford Festival as part of the Michael Langham Workshop for Classical Directing. There he has assistant directed Macbeth, Bunny, and Romeo and Juliet. Upcoming, James will be performing in Dublin Carol (Fly on the Wall) and playing the title role in Richard III (BASH'd).